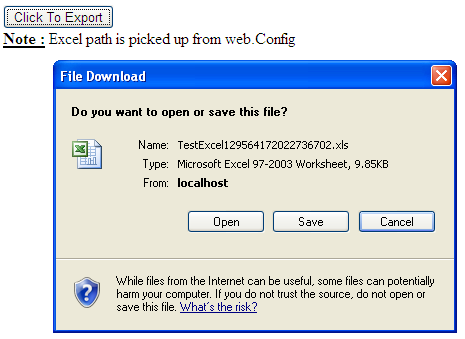 In this article, i am going to show you that how to read excel file in C# and exporting it into ASP.Net. You might need this type of code when you want to read the file from server and export to the client. you can try https://zetexcel.com/. it has the ability to generate, modify, convert, render and print spreadsheets without using Microsoft Excel.